Terri Wangard grew up in Green Bay, Wisconsin. Her first Girl Scout badge was the Writer. 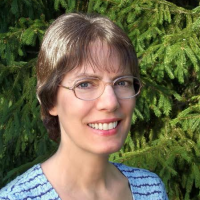 These days she writes historical fiction, and won the American Christian Fiction Writers (ACFW) Woodland's Chapter 2013 Writers on the Storm (WOTS) contest and the ACFW 2013 First Impressions, as well as being an ACFW 2012 Genesis finalist. Holder of a bachelor's degree in history and a master's degree in library science, her research included going for a ride in a WWII B-17 Flying Fortress bomber.